South Sudan‘s people are suffering. Rampant civil war, accompanied by mass killings, rapes, torture and forcible expulsion are the order of the day for the 12 million inhabitants of the world‘s youngest country, along with poisoned water, fields, livestock and lives. One major cause of this suffering: oil. Pumped by companies knowing only greed and permitted to do such by a government whose sole purpose in life seems to be enriching itself. That the world knows of South Sudan‘s suffering is thanks to such organizations as Sign of Hope, and, especially, Klaus Stieglitz. Klaus is vice-chairperson of Sign of Hope, which provides humanitarian and development assistance around the world. Part of this provision is the operating of medical clinics, and it was this that got Sign of Hope involved with South Sudan. In the late 90s, Sign of Hope’s clinics began treating South Sudanese who had been afflicted with new and devastating kinds of ailments. It quickly turned out that these stemmed from lead and other wastes emanating from neighboring oil fields. To ascertain the connection between the oil wastes seeping into the ground water in South Sudan and the health problems being experienced by local residents, Klaus organized and participated in trips to the country’s oil fields, in which he was joined by scientists in gathering samples of water and residents’ hair. These were then analyzed in certified laboratories by some of the world’s leading forensic scientists. Published in scientific journals, the findings confirmed that South Sudan’s water, land, people and livestock have been contaminated with lead and other toxic materials at rates that are some of the highest in the world. These environmental problems form part of the reports recently issued by the UN Commission on Human Rights in South Sudan. The report issued by the UN’S Human Rights Commission for South Sudan details the virtually unimaginable scope of alleged crimes against humanity – “mass killings, rapes, torture and forcible displacement of local residents” – being committed in the country. Perpetrators are often the armies that are fighting for control over the country and specifically over its oil fields. Oil is thus the source of the suffering in South. As the UN report so amply details, the wish to assert this control triggered much of the conflict gripping South Sudan. And the revenues ensuing from the pumping of oil keep the conflicts going – by providing the money need to support the militia waging them. Due to their willingness to abet these flows of corruption-produced funds, greedy and stop-at-nothing oil companies have been accused by the UN of being “complicit” to the above-listed crimes. 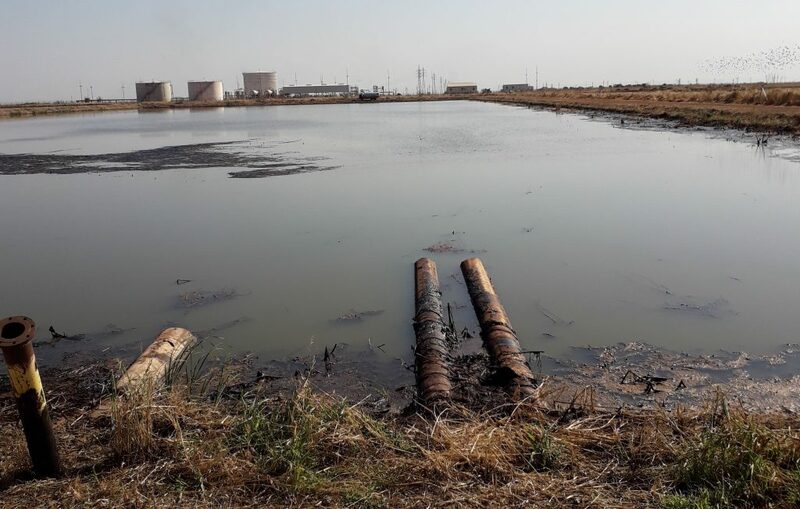 Another kind of offense being perpetrated by the oil companies: the poisoning of South Sudan’s water with lead and other wastes. To date, more than 600,000 people have been affected by this contamination. Destruction of health, lives and livelihoods has been the result. The oil companies are by no means not the only parties to these crimes against the environment. The incredibly corrupt government of South Sudan has been more than happy to turn a blind eye to the companies’ misdeeds. In doing such, the government has neglected its obligations to effectively supervise the industry. Prime among these oil companies is Malaysia’s Petronas, which is also a sponsor of the Daimler-led Mercedes AMG Petronas Formula One racing team. We are calling upon Petronas and upon the world’s oil industry in general to stop their poisoning of people and the environment. We are calling upon Petronas and upon the world’s oil industry in general to start making amends for the damage they have wreaked – by providing victims with compensation, medical treatment, new homes and new lives. We are joining the UN in calling upon the government of South Sudan to put an end to its toleration of contraventions of human rights. Entailed in this will have to be bringing the perpetrators to justice, as this is the only way for the large number of victims to get retribution. Hear our plea: give the people of South Sudan an opportunity to live their lives in health and peace.